You’ve noticed that there hasn’t been a lot of blogging about school lunch. More recently there hasn’t been a lot of blogging. Much of this is related to my getting pregnant this year, but also something has changed. Early this year I realized that I had spent more than two years working full-time and then blogging into the night, every night. And I also wrote a book during that time. Finally, in March 2012, six months after the book came out (and my son turned 3.5 ), Charlie started being aggressive with peers and teachers at school. My husband and I were perplexed. What was happening? It seems clear looking back. That’s all I needed to hear to know that I made the right choices. Of course I have been spending more time with him, which I think is making a big difference. I’m really trying to be present for him, especially since he’s going to be a big brother. This fall my child care/preschool expenses have doubled while my income has fallen. I changed jobs while pregnant (never do that, ok?). I’m working less partially because I’m not getting enough hours. It’s nice to have more time at home, but I’m not making anywhere near my old salary. This fall has been hard financially, especially because we bought a house that needed a lot of work and I’m anticipating an unpaid maternity leave. 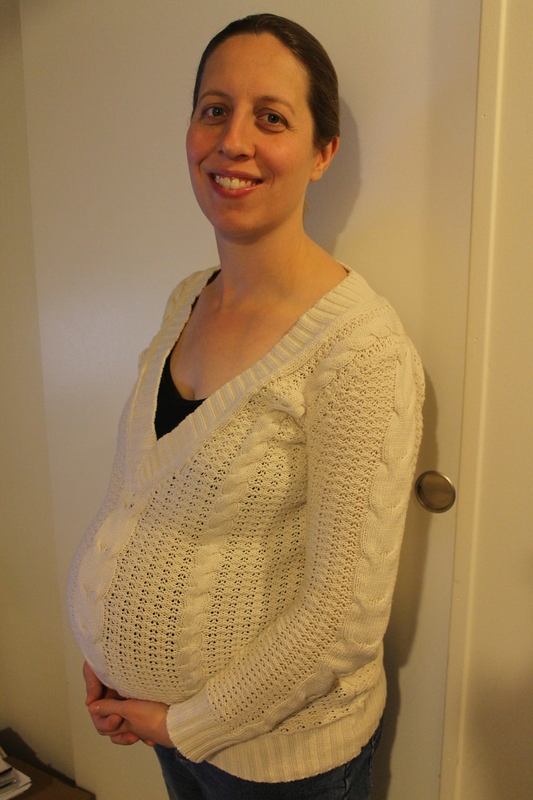 But my son, and my pregnancy, are at the center of my life at the moment. Charlie is doing a lot better for it. He still has “trouble listening” at school, but instead of daily bad reports, we’re seeing those behaviors once every few weeks. Also, his program is half-day. I think he really is not ready to spend eight hours away from home. I’ve come to the conclusion that I need to take a break from blogging while I’m on maternity leave. I’ve got 3ish weeks to go and I barely have a brain cell left at the end of the day. I’m going to stop posting now because, let’s face it, the content here has been less than stellar. Instead of blogging, what else have I been doing with my time? When I had my son more than four years ago, I was depressed for several months. I’m really hoping not to experience that the second time around and so I’ve been busy building everything I think I’ll need to be more successful this time around. I’ll have family help for weeks (before: a few days), I live in a house with garage parking (before apartment with no parking), I have my own washer and dryer (before: pay laundry machines in basement), and I’m a breastfeeding pro (before: bad latch, mastitis h*ll). I’m hoping the environment I’m setting up will make me feel more control than I felt before. So there you have it. I’m bound to blog about school lunch in the future, because my son will be in elementary school one day and I know there will be struggles. At some point I’ll find more permanent employment that will afford me the opportunity to advocate for reform. What I’m saying is that I’ll be back, but in the mean time…I need to take a break. Sometimes I think FedUpWithLunch.com is no longer the right place for me to be blogging. Occasionally I toy with the idea of starting another blog, one where I can feel more comfortable sharing about topics unrelated to school lunch. But I’m not ready to make big changes in my online presence just weeks before my second child’s birth. However, you can still follow updates on Facebook by liking me or you can follow me on Twitter. I will be sharing occasional tidbits there over the next couple weeks.